By defeating Irishman Ike Weir at San Francisco, Murphy became the first New Zealander to win a world professional boxing title. Until 2016 he was the only New Zealand-born boxer to have held a recognised world professional title. Born in Auckland in 1862, Thomas William Murphy (‘Torpedo Billy’) began boxing as a teenager before moving to Australia in 1887. Two years later, he moved to the United States. Weir dominated the early rounds of the title fight, but Murphy knocked him down five times in the 13th before knocking him out in the 14th. When Murphy returned to New Zealand, he was deemed to have forfeited his title. It continued to be recognised in New Zealand and Australia until he lost to Australian Albert Griffiths in September 1890 in Sydney. Murphy later returned to the United States. 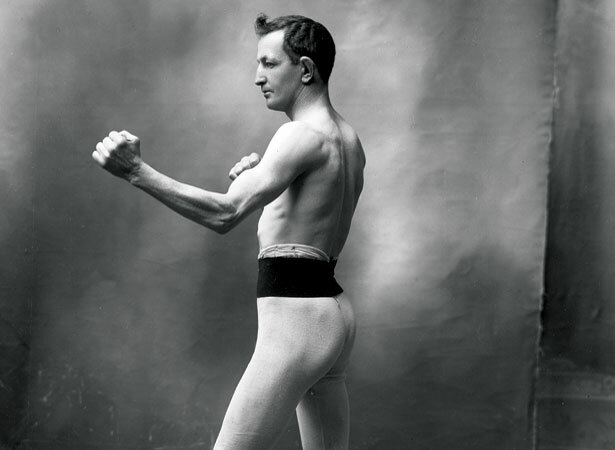 By the time he hung up his gloves in 1907 he had fought 112 times for 65 wins, 32 losses and 15 draws. Murphy died in 1939 and became an inaugural member of the New Zealand Sports Hall of Fame in 1990. We have 1 biography, related to 'Torpedo Billy' Murphy wins world featherweight boxing title.